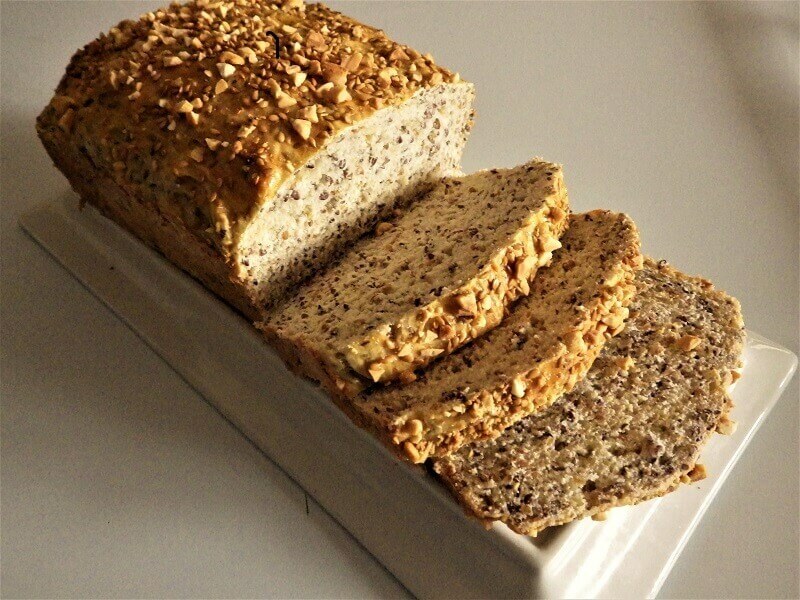 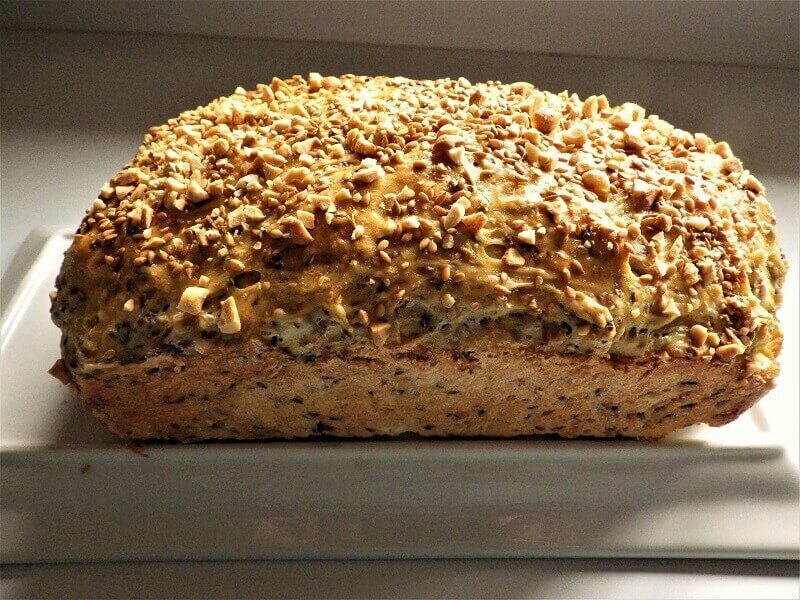 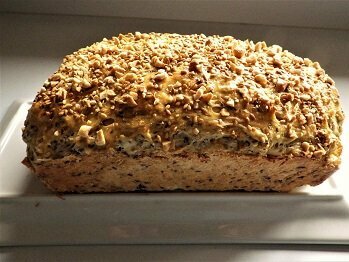 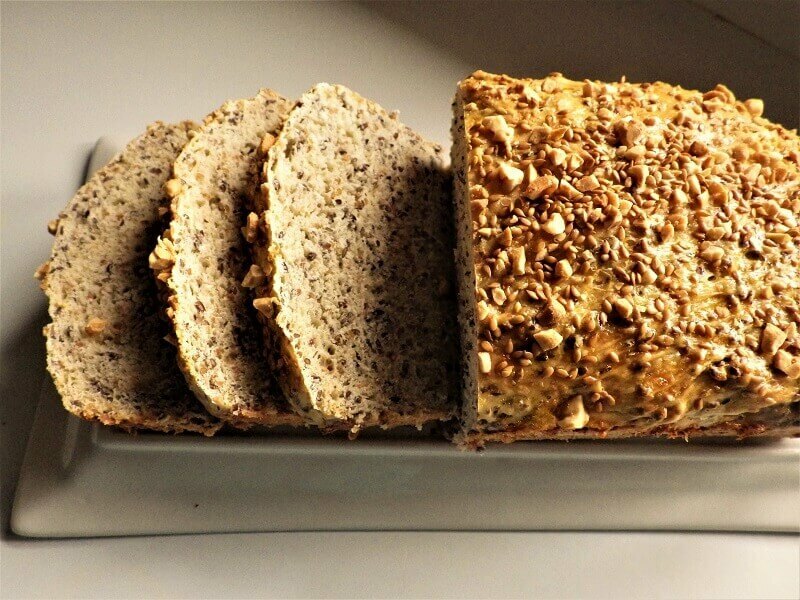 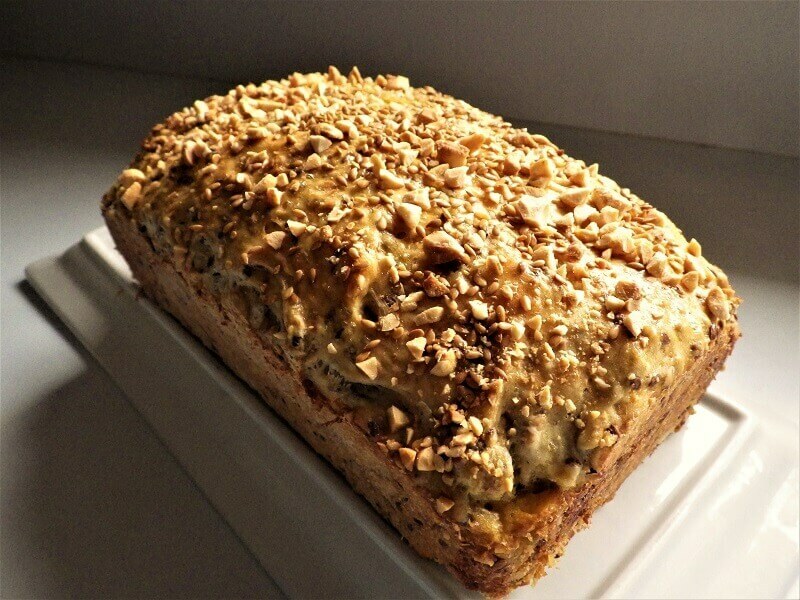 This Seven Grain bread is highly nutritious with high-fiber and complex proteins given the number of grains in the recipe. 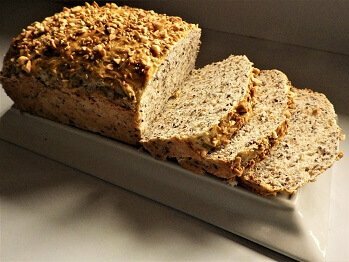 You can combine any combination of grains you like or you can actually buy a 7-grain mix at most grocery stores for bread making. 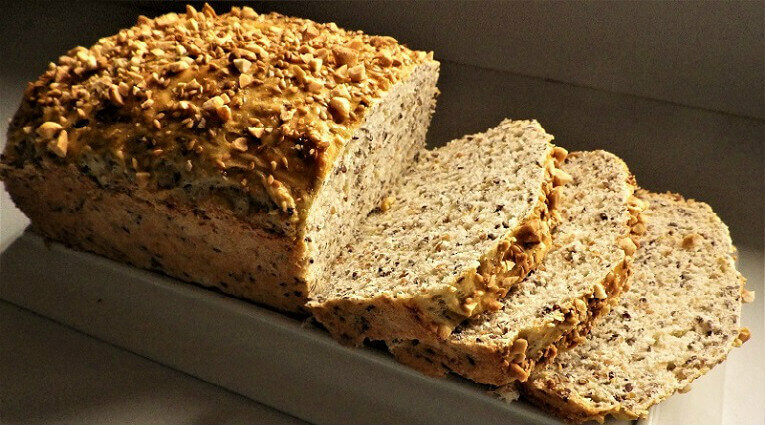 And you don’t have to stop at seven grains but make sure you stay true to the proportions of grains listed in the recipe. Common grains used for this recipe includes oats, white and red hard wheats, triticale, barley, rye and even some ancient grains like quinoa and amaranth. 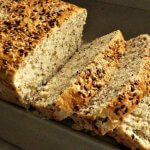 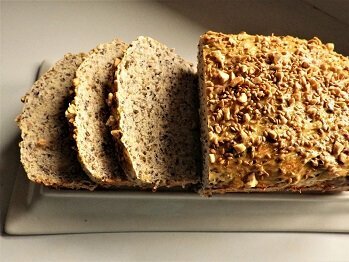 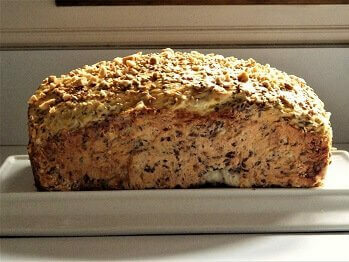 This tends to be a dense bread with a rustic texture due to the nature of the grains but it’s highly flavorful. You could also top it with chopped peanuts as an option as we’ve suggested in this recipe. 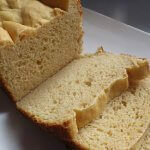 Add ingredients to the bread pan in the order indicated and select whole wheat cycle, 1.5-pound loaf and medium crust. 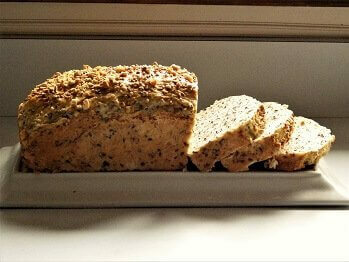 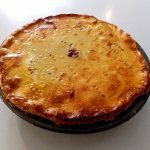 Let rest 10 minutes and then slice and serve.